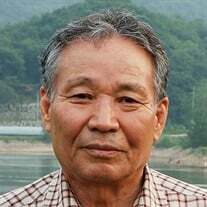 In profound sorrow we announce the passing of Myungsup Shim, 82 of Newnan, Georgia on Wednesday, February 6, 2019. The family of Myungsup Shim created this Life Tributes page to make it easy to share your memories. Send flowers to the Shim's family.